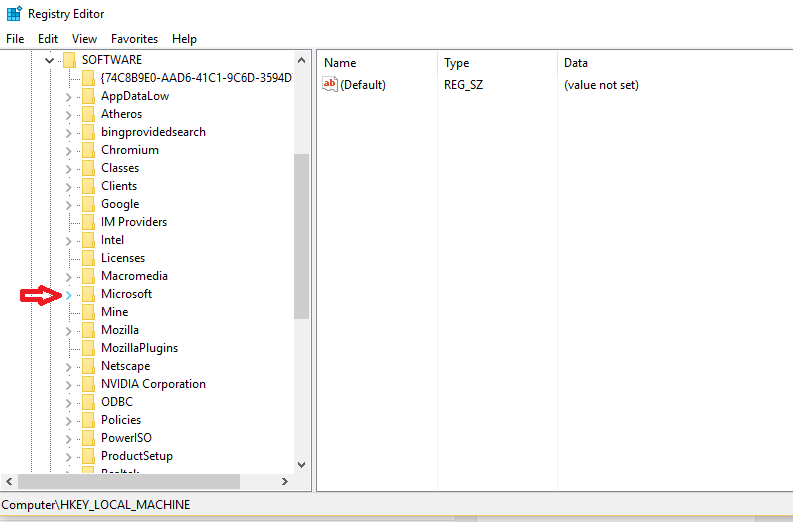 In Windows 10, pressing Win and PrtScr keys together results in taking screenshot. 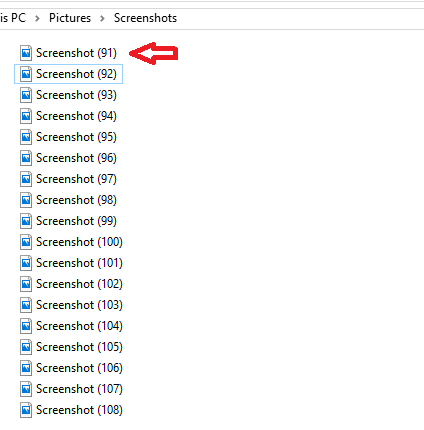 When you take a screenshot, the image is stored in a Screenshots folder under Pictures. This is a very useful feature as you don’t have to save each of them manually. 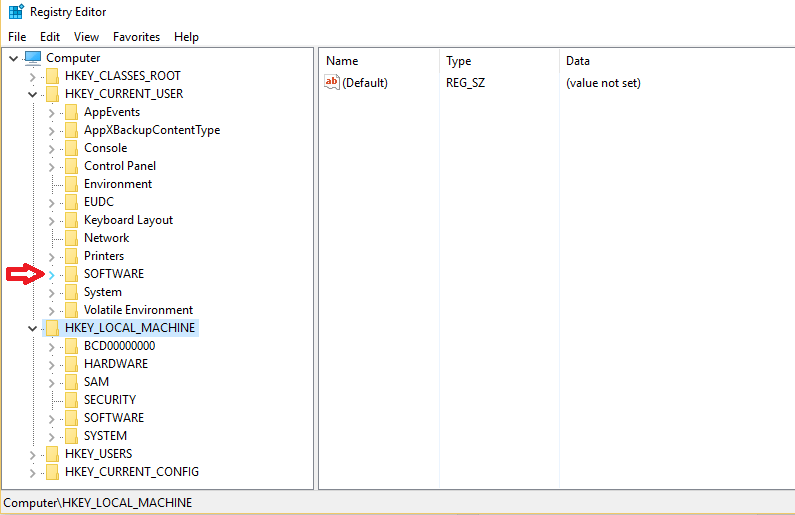 In this, the screenshots are named sequentially. They start from 1. But even if you delete the first screenshot, the naming will still resume from the last number. This is shown in the image below. Press Win + R to open Run. 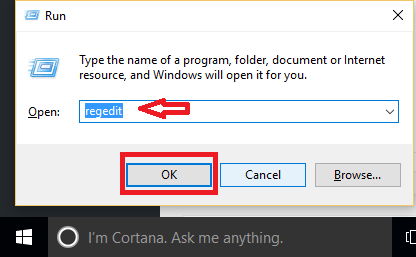 Type regedit in the given field. Press OK. 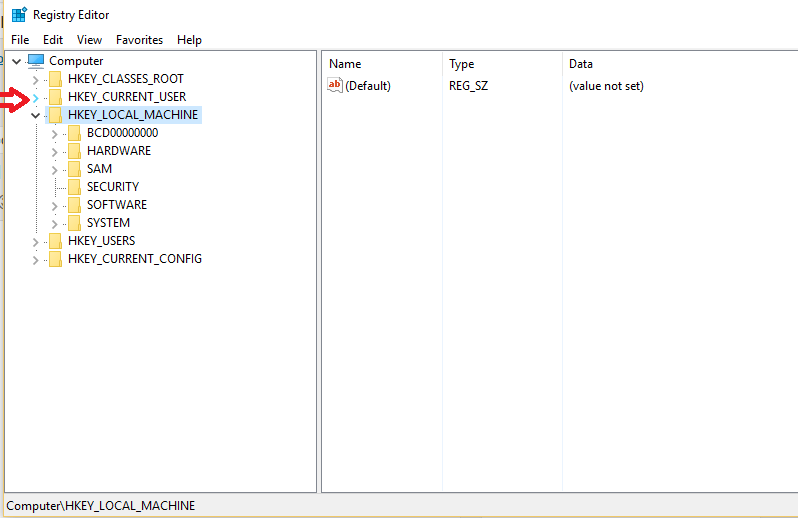 This opens Registry Editor. 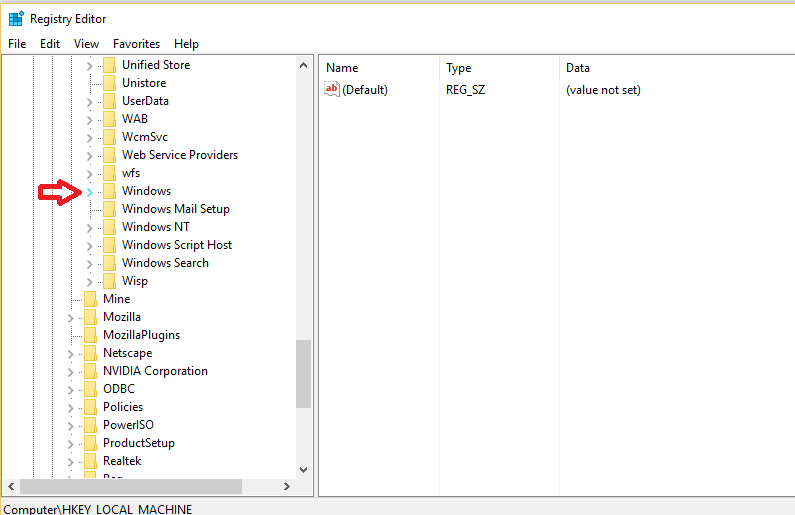 Open CurrentVersion followed by Explorer. On the right side of the Window, you’ll see ScreenShotIndex. Click on it. 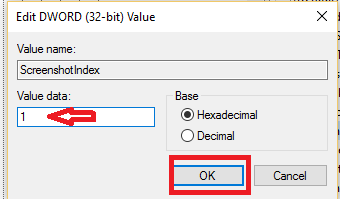 In the Window that pops up, set the value to 1. 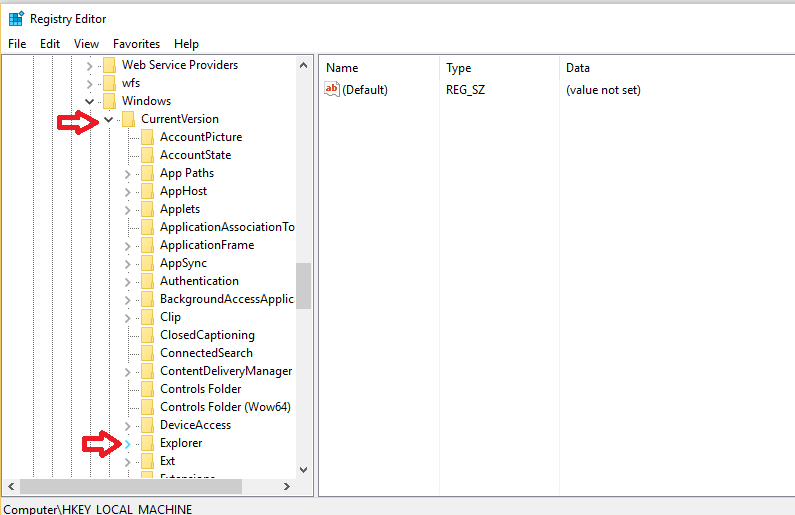 Click OK and exit Registry Editor. Now, try taking a screenshot to check the changes. 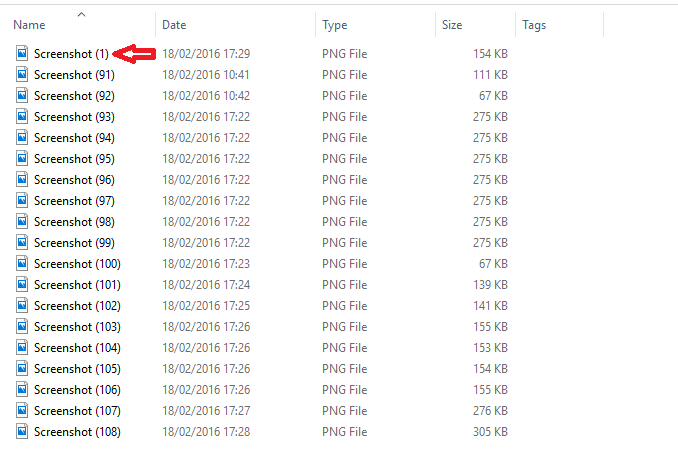 You will see that the new screenshot has started naming from 1. Instead of resetting the screenshot counter, you can also set it to another number you wish. In place where you entered 1, you can type say 8 and then the screenshots later on will be named as Screenshot (8), Screenshot (9) etc. Make sure that you choose the proper base(Hexadecimal or Decimal) for numbers above 9. 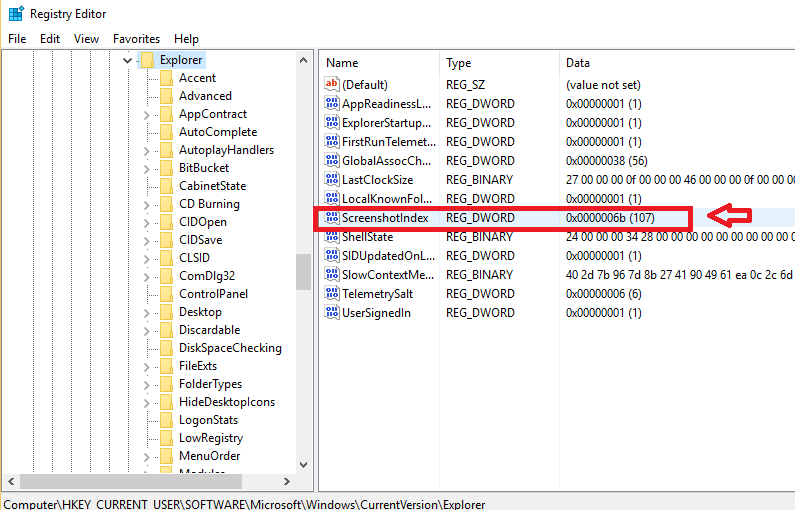 One thing to be noted is that if you already have an image called Screenshot (1) saved, then the counter won’t be reset. It will then start numbering from the next smallest number that is missing. Hope it helps!